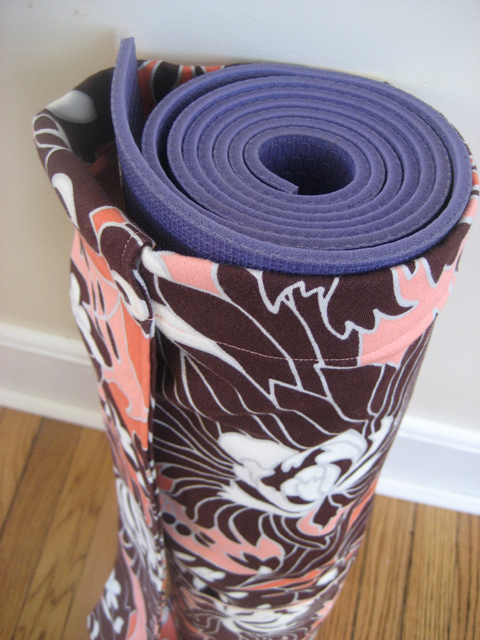 I was excited to make something to hold the fancy new Manduka yoga mat my sister gave me for Christmas. 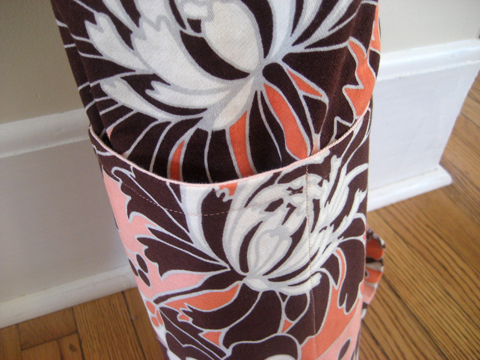 So, my sewing project for the January blizzard became Amy Butler's Nigella Yoga Mat (free PDF pattern here on her site). I used Full Bloom in coral from her August Fields line. 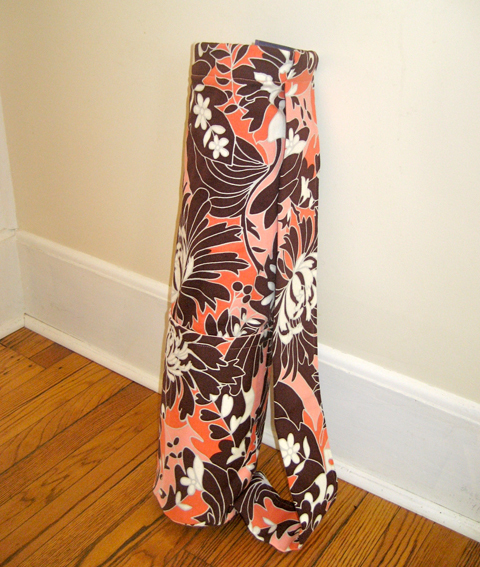 The fabric is home decor weight, and I lined it with a pale pink heavy weight cotton so it is sturdy without any interfacing. The pockets are just big enough to hold my eye pillow and some extra hair clips.